Since then, 48 years now, I’ve been very careful not to make assumptions or judgments in cultures (musics) whose basic vocabulary is foreign to me. 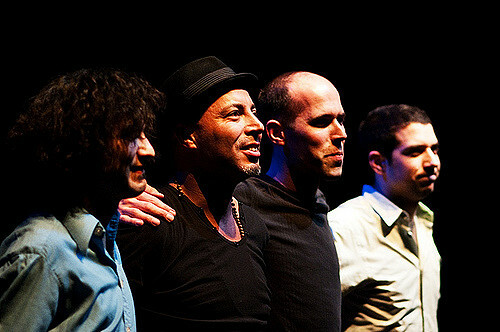 That being said, the Dhafer Youssef quartet, with Tigran Hamasyan on piano, creates the best music I’ve heard in years. If I gave grades, I would give it 100. But if I can do it, so can you. It’s true that I live approximately midway between Tunisia and Armenia, but I speak neither language. I do speak some jazz, though, and have no difficulty following their quatralogue. Even if some of it is in an exotic accent. Who knows, perhaps due to that. Guiliana there provided 5 minutes of interest with an electronic percussion solo in an otherwise soporific concert. Here, as the motor of Dhafer’s quartet, he’s solid liquid nitroglycerin, ready to explode at the merest pretext. No one sleeps on Mark Guiliana’s watch. If, like me, you usually find drummers a necessary evil and drum solos an unnecessary one, check out Guiliana here. He’s a brilliant, exciting musician, period. Chris Jennings is the designated driver of the group – rock solid, Always Prepared, holding it all together. With three such volatile partners around him, you need a responsible, grounded adult. 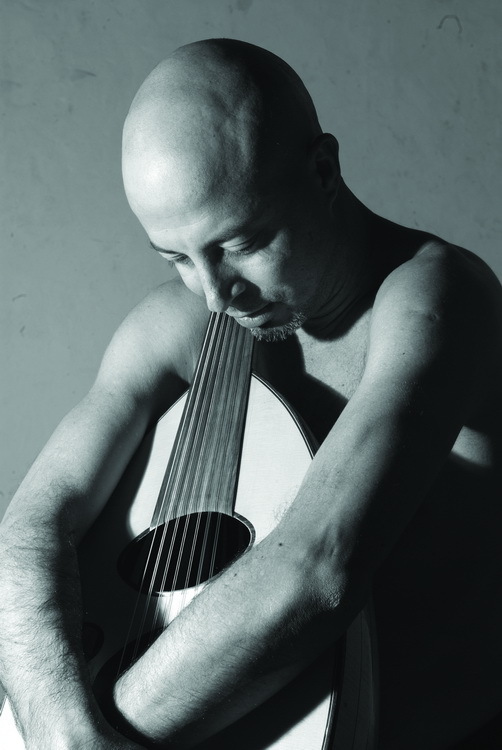 Dhafer Youssef (b. 1967) grew up in a fishing village, from a long line of muezzins (leaders of prayer in the mosque). His grandfather exposed him to religious vocal music, which he practiced in his kitchen and refined in the cavernous hammam of the village. The resonances produced by his voice were his favorite toy. 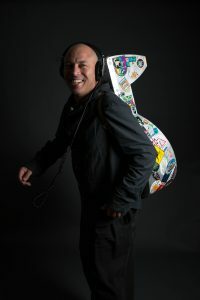 He began singing with a local liturgical singing troupe, learned oud and then moved on to electric bass, playing at weddings and singing music from the radio in the traditional liturgical style. (Remind anyone of Ray Charles?) From the music conservatory in Tunis, he moved on to Paris and Vienna, where he’s been based since. He recorded his first album in 1996, and since then has moved from project to project, each one exploring new territories, new sonorities, including the juxtaposition of the oud and northern European electronic-jazz textures. From 2009-2012, his quartet was composed of Armenian pianist Tigran Hamasyan, Canadian bassist Chris Jennings and American drummer of everyone’s choice Mark Guiliana. Inspired by texts from the seventh century Persian poet known for his odes to wine, Abu Nawas, the collaboration produced a number of high-quality filmed performances, as well as the album “Abu Nawas Rhapsody” (2010). His latest project is fascinating in itself. “Birds Requiem” takes a more Western, exploratory look at the Eastern materials. It employs an Estonian pianist, an incredible Turkish clarinetist, a British bassist, an Indonesian-Dutch drummer, a Norwegian rock-oriented guitarist, and a knockout virtuoso Turkish kanunist. 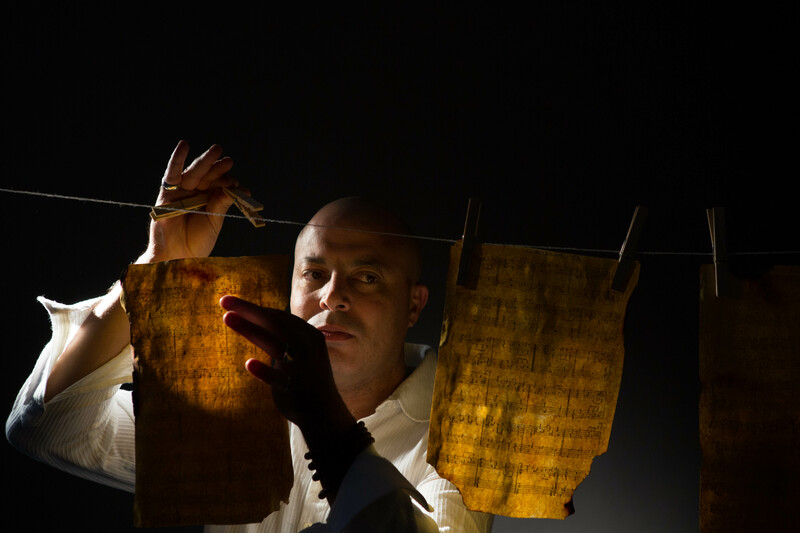 Tigran’s latest, by the way, is “Luys i Luso”, an exploration of Armenian sacred music from the 5th through the 20th centuries, arranged for piano and chorus. Both artists are well worth following in every project they do. But when they joined together, they reached a pinnacle, higher than Tunis’ Atlas Mountains, higher than Armenia’s Mt. Ararat (yes, the one where Noah got stuck), certainly higher than Mont Blanc. I urge you to take the time and have the patience to expose yourself to this quartet’s music at leisure. They make great, great music. I don’t give out 100’s lightly. They can be just purely entertaining, providing unadulteratedly pleasurable, accessible-without-borders music. Like you can enjoy The Four Tops. They can be emotionally wrenching, especially Dhafer’s vocal flights into nasal, hyper-falsetto stratospheres. Like Janis Joplin at her rawest, purest, most expressive. They can be mindbogglingly, jawdroppingly dexterous, especially when Tigran gets that Keith Moon look in his eye and starts taking you places on the keyboard that no one’s ever been before. Take for example ‘Les Ondes Orientales’ (‘Oriental Waves’). It begins with an oud/piano exposition, improvising on what will become the theme with utter gentleness, a warm group embrace. In the third minute it begins to accrue energy, then at about 4:20 begins to rock the theme a tempo. 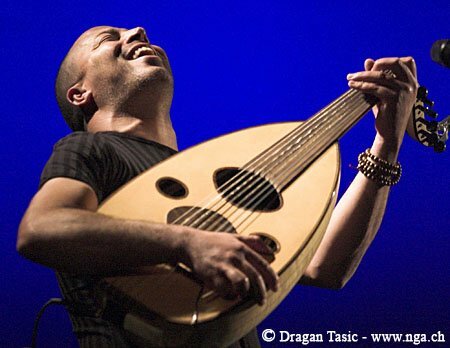 At 5:30 Dhafer lays down the oud for his rubato vocal ‘solo’, backed by Tigran. The interplay between them half reminds me, surprisingly, of the legendary Bill Evans/Tony Benett duets. Nowhere else have I ever heard a pianist providing such eloquent support for a vocalist. But Dhafer ain’t singing ‘The Touch of Your Lips’. Check out the vocal climax at 8:45. Tony Benett never scaled those heights. And I’m not talking pitch. 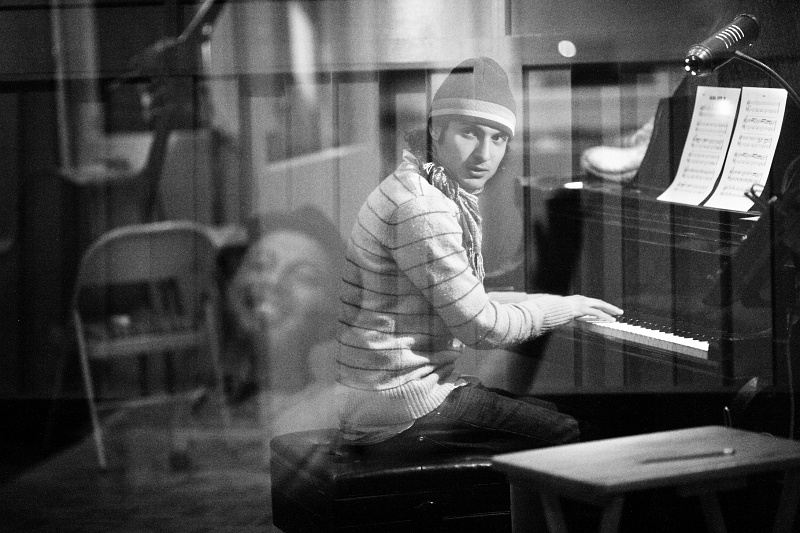 The next section features Tigran. It is the finest piano trio music I’ve heard since Bill Evans died. Passionate, brilliant. 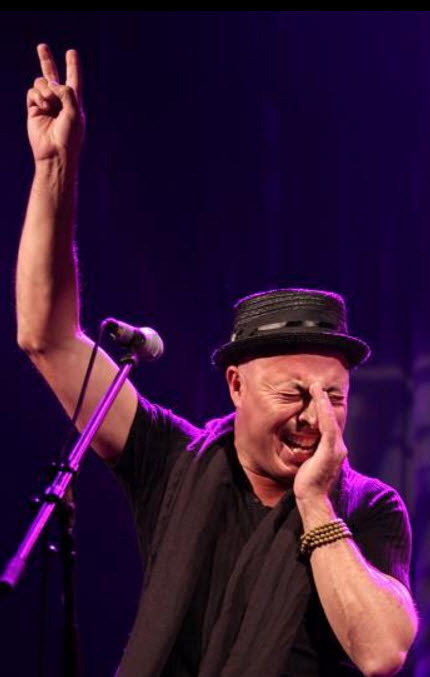 At 12:30 Dhafer joins them to revisit the theme. It’s not George Harrison dabbling in sitar. It’s not pandering with exotica. It’s new, great music. Do yourself a favor, venture out of that old comfort zone, check out this quartet. Open your ears, I’ll betcha it’ll speak to you. Their language is universal – both within you and without you. My guess is that Sargeant Peppers was more of an icon when it came out than it is today because that was The Beatles heyday. From a distance, it is far from being their best album. It has some interesting cover art and some mostly pleasant songs.